London Independent Photography is delighted to invite you to an evening with the photographer Tanya Houghton. If you are interested in social documentary photography or simply want to improve your practice in this field then this talk is for you. Tanya Houghton is a social documentary photographer and artist based in London. 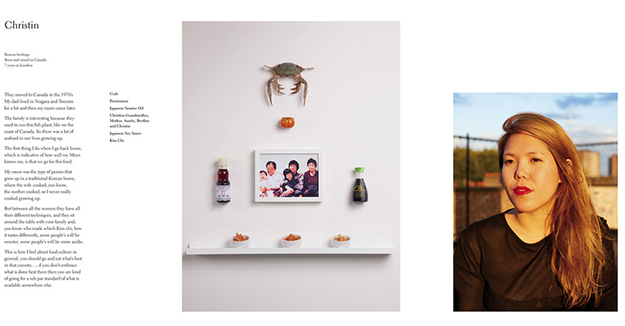 She comes from a background of advertising photography and sociology. A trained academic and active practitioner, she will be discussing the rise of interdisciplinary artists in the current photography market, and the ability of contemporary artists to harness innovative methods to discuss documentary narratives. Tanya’s work examines the details within the everyday, unearthing the unexpected within the familiar; it is the desire to collect and compare them which motivates her work. Through the exploration and documentation of the everyday networks, she explores the characteristics and memory of everyday communities, creating multilayered works that focus on notions of home, memory and food. During the session she will be discussing her project A Migrant's Tale. This year Tanya’s work was shown at Organ Vida Festival in Zagreb, Croatia as part of the New Citizens exhibit at the Museum of Modern Art.